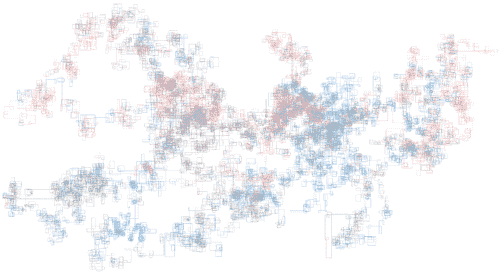 Small experiments with Bible data. Browse to any chapter in the Bible instantly. 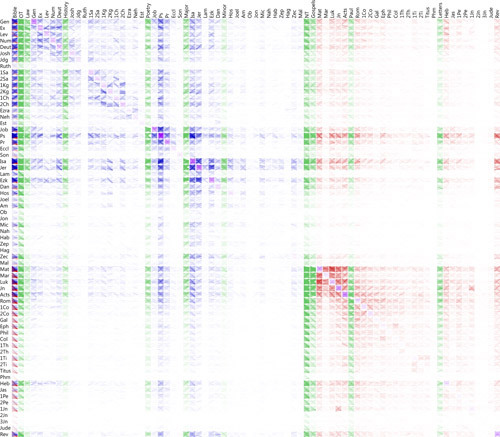 Explore the frequency and dispersion of words in the Bible. See a photo composite for each verse in the Bible based on Flickr images. 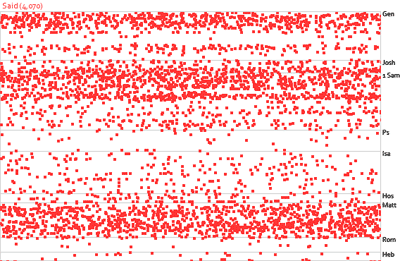 Visualize sentence paths. 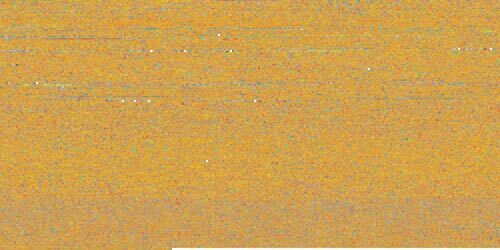 Every word is a pixel; every sentence is a line. Turn right for every new sentence and add some metadata. 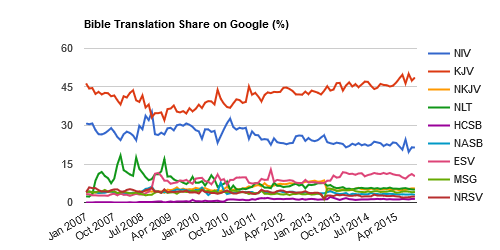 The relative popularity of English Bible translations, as inferred from public Google data. Personality profiles of English Bible translations. Browse over 340,000 cross references in the Bible. Calculate the average year of the vocabulary used in text. 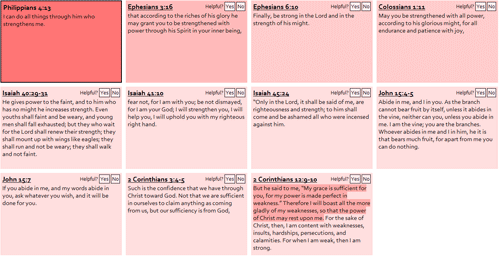 Visualize Bible cross references at a book level. 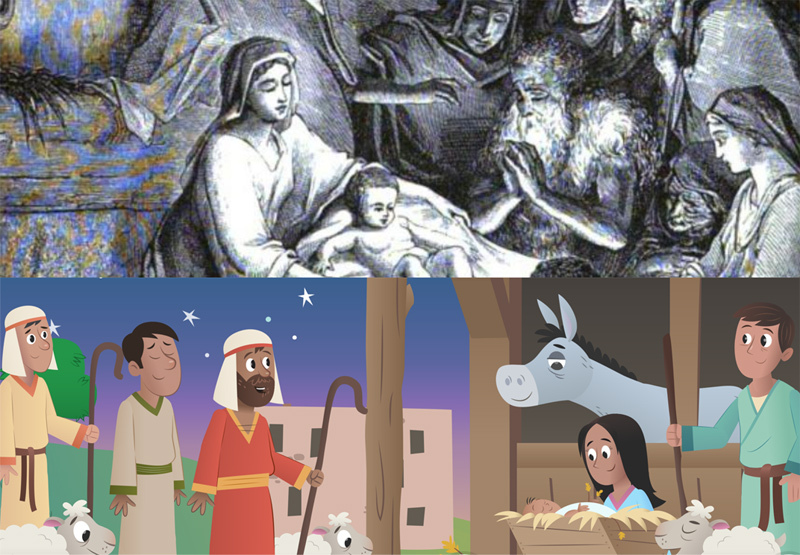 Popular stories from kids’ Bibles from 1830 to 2013. 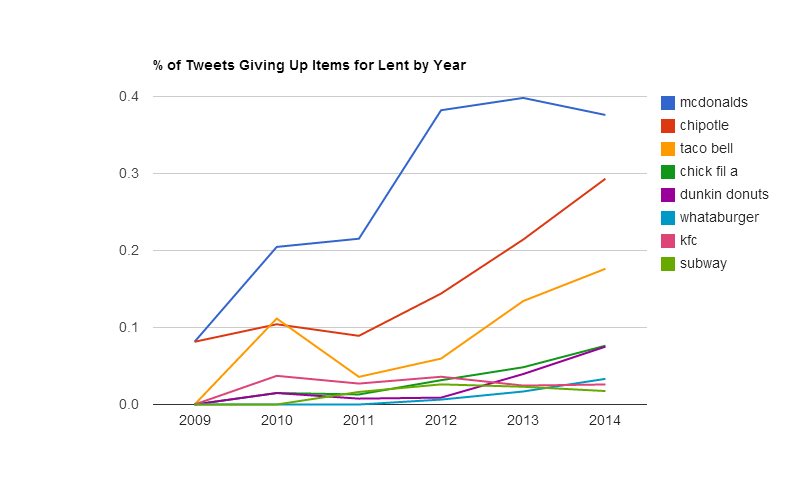 What Twitterers have been giving up for Lent since 2009.